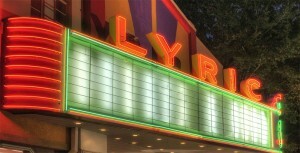 Season tickets for the 50th anniversary 2019-2020 season are now on sale for Tupelo Community Theatre at the Lyric on Broadway. The season includes Mamma Mia, August 22-24, 2019, A Christmas Story, December 12-14, 2019, Of Mice and Men, January 23-25, 2020, Moon Over Buffalo, March 5-7, 2020 and Spamalot, April 23-25, 2020. Season tickets begin at $60 for all 5 shows, a 46% discount over individual tickets. The renewal deadline is June 21th and priority for seating is given based on the date tickets are purchased. 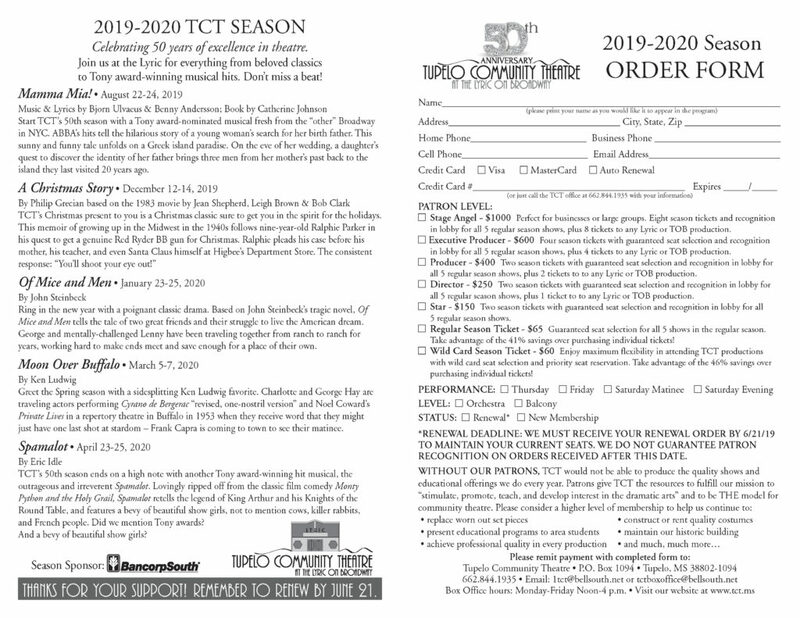 Information and order forms are available at www.tct.ms or by calling the TCT box office at 662-844-1935.